Sei in: Home / Test your english! 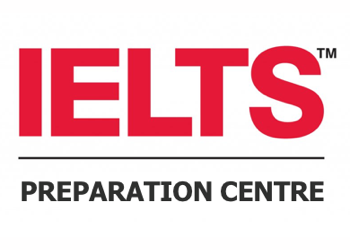 Modern English Study Centre mette a disposizione degli Studenti il Test scritto online di valutazione per l'ammissione ai Corsi di Inglese. Gli studenti verranno inseriti nei corsi in base al loro livello ma anche in base al loro metodo di studio. Il test è composto da 120 quesiti. Il tempo consigliato per il completamento è di circa 40 minuti. 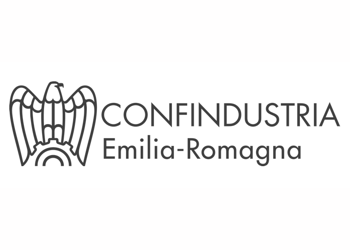 Non è necessario completare l'intero test - basta completare il maggior numero possibile di domande. Come di consueto, offriamo sia corsi individuali che corsi di gruppo. Si prega di fare questo test online prima di tutto. 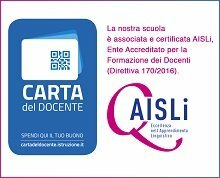 Per cominciare il test inserite i vostri dati e proseguite. Vi verranno presentati 13 set di 9 domande ciascuno. Per ogni domanda, indicate la risposta che ritenete sia corretta: se non sapete la risposta a una domanda potete saltarla, quindi cliccate "Next" e vi verrà presentato il set successivo. Se i set di domande si facessero troppo difficili, potete cliccare su "Next" lasciando il set in bianco. 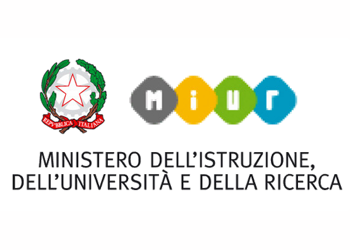 Al termine del test (set n. 13) cliccando su "Invia" le risposte verranno inviate e valutate. 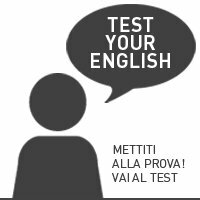 Una volta completato il test vi verrà inviata una mail (può essere necessaria qualche ora) con cui sarete invitati a scuola per completare il test con un colloquio orale in inglese. Prima di iniziare il test, leggete attentamente il testo sottoelencato. Selezionate la frase che rappresenta meglio la vostra necessità di migliorare il vostro inglese. 1. 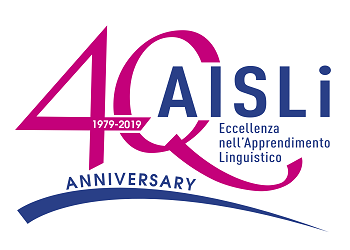 Sono in grado di esprimermi abbastanza bene in inglese ma mi piacerebbe migliorare la mia abilità ed il mio livello CEFR.2. Il mio livello di inglese e già abbastanza buono, perciò vorrei mantenerlo e migliorare la mia capacità di comunicativa.3. Il mio inglese è un po’arrugginito e vorrei rinfrescarlo.4. Ho bisogno di fare conversazione ma non ho molto tempo libero.5. Vorrei migliorare le mie opportunità di carriera. Ho bisogno di un qualifica che sia riconosciuta ovunque nel mondo.6. Vorrei partecipare ad un Masters/PhD in inglese ed ho bisogno di una qualifica che sia riconosciuta ovunque nel mondo.7. Vorrei insegnare l’inglese a studenti in età scolastica. Mi piacerebbe anche migliorare le mie prospettive lavorative. We have ______ small flat in Manhattan. I have two ______, a boy and a girl. I work in a ______. I'm a doctor. This is my brother. ______ name's Paul. ______ five people in my family. I get up ______ 7 o'clock in the morning. I like apples, but I ______ bananas. Excuse me, ______ speak French? How much are ______ shoes? A: Where are my glasses? B: They're ______ the table. My sister ______ tennis very well. I usually go to work ______ train. I don't see my parents very often ______ they live in South Africa. Rosie stayed ______ home yesterday afternoon. Last night I ______ to the cinema. The ______ is quite expensive but the food there is excellent. Do you want to listen to music or ______ TV? A: ______ were you at the weekend? B: I was in Scotland. A: ______ you have a good time at the party? B: Yes, it was fun. Are you ______ English teacher? Bob will meet ______ at the airport. I'm going to a concert tonight. ______ you like to come? A: ______ use your dictionary? I like this apartment but the ______ is too expensive for me. Excuse me, how do I ______ to the bus station? A: Do you sell stamps? B: Yes, we do. How ______ do you want? A: Sorry I'm so late. I'd like ______ milk in my coffee, please. ______ a bus stop near my flat. B: Sorry, no. I ______ dinner. I think cycling is more dangerous ______ driving. We ______ going to the theatre next Saturday. ______ meet for coffee some time soon. Marta has got a holiday home near ______ sea. If you've got a headache, you ______ go home. ______ ever been to York? It's definitely worth a visit. A: I only get about five hours' sleep a night. B: That's not ______ . A: Did Amina finish the report? B: No. She ______ it tomorrow. Paula ______ loves working with children. A: Is Ottawa the capital of Canada? B: I think ______ . We never ______ a television when I was a child. We paid the restaurant bill ______ credit card. The last time I ______ Joanna was in Paris. If you ______ money from a friend, you should always pay it back promptly. A: Can I make myself a cup of coffee? B: Of course. You ______ to ask. I ______ a lot of sport in my free time. It's Walter's birthday on Friday. He ______ be 30, I think. People say that learning the piano isn't as difficult ______ learning the violin. If the weather ______ bad tomorrow, we can go to a museum. About a billion cans of Coca-Cola ______ drunk around the world every day. A: My mum's not very well. Franco isn't here. He ______ to see his grandmother. He'll be back tomorrow. Would you mind changing my appointment? ______ time on Friday is fine. When I was a child, I ______ climb the wall and jump into our neighbours' garden. Have you finished ______ the wall yet? Can you help me? I've tried ______ hotel in the city and can't find a room. Laura used to find work boring ______ she became a nurse. If I ______ closer to my office, I could walk to work. I ______ outside the cinema when suddenly a police car arrived. A: Shall we go to The Riceboat for dinner? B: It ______ be fully booked. They're sometimes busy on a Monday. We've ______ come back from a trip to India. It was amazing. A: I've got to be at work in five minutes. B: Don't worry, I ______ you a lift if you want. My doctor advised me ______ more exercise. I couldn't ______ up with the noise in the city, so we moved to the countryside. A: There's no name on this dictionary. B: It ______ be mine then. Mine's got my name on the front. Julia ______ married since she was 20. Don't worry if I ______ late tonight. I'm going to the gym after work. A: I've got a terrible headache, and it won't go away. B: Have you tried ______ some aspirin? Boxing is a sport ______ requires a lot of speed and fitness. Jon ______ working on this project for a couple of months so he hasn't made much progress yet. A: I was wondering ______ I could ask you some questions. A: What clothes should I pack for a trip to Boston? B: Well, it depends ______ the time of year that you go. I've finished this salad and I'm still hungry. I ______ ordered something more filling. Do you ever ask your neighbours to do favours ______ you? Some married couples seem to get more ______ over time. I don't know how much this costs. The price label's ______off. Ben got the job because he ______ a very good impression at his interview. Salsa music always ______ me of my trip to Cuba. I ______ to be picking Tom up at the station but I've mislaid my keys. A: How about going to Colours nightclub? B: There's no ______ I'm going there. It's awful! By the age of 18, I ______ not to go to university. I'm afraid your car ______ repaired before next week. The amount of organically grown food on sale has ______ enormously in recent years. Can you believe it? A man has been ______ for hacking into his own computer! You may use my laptop while I'm away ______ you promise to look after it. It's a huge painting. It ______ taken ages to complete. Pietro tends to put ______ dealing with problems, rather than dealing with them immediately. If the taxi hadn't stopped for us, we ______ standing in the rain. My mother's Italian, so ______ the language has been quite easy for me. ______ I had the talent, I still wouldn't want to be a movie star. The factory workers threatened ______ on strike if they didn't get a pay rise. I was about to go to sleep when it ______ to me where the missing keys might be. There's going to be a new department at work. They've asked me to ______ it up. If the film is a ______ success, the director will get most of the credit. By the end of today's seminar I will ______ to each of you individually. This is a photo of my little sister ______ ice cream on the beach. Our students take their responsibilities very ______ . Francesca was ______ delighted with her birthday present. People were amazed that the burglary took place in ______ daylight. She invested a lot of time ______ researching the most appropriate university course. The police claimed that they were acting in self-______ . He turned ______ to be considerably older than I had imagined. The windows in this house are in urgent ______ of replacement. Speed cameras ______ shown to reduce accidents. Life is a ______ deal easier for immigrants who can speak the local language. The experiment ______ testing people's responses before and after drinking coffee. We may be a bit late. We're ______ in a traffic jam. Having ______ his driving test several times, Paul finally passed at the fourth attempt. Gospel music has been a major influence ______ other musical styles, especially soul. Maintaining an accurate balance sheet is essential, ______ business you're in. It's no ______ for me to get Brad's details as I'll be seeing him tonight. I'd lived in Australia, so I was used to ______ on the left side of the road. I don't think the colours in Julia's outfit ______ together. Very rarely ______ here in July. I prefer to listen to vinyl ______ listen to MP3s. The number of turtles on the island _____ by 70% over the last decade.